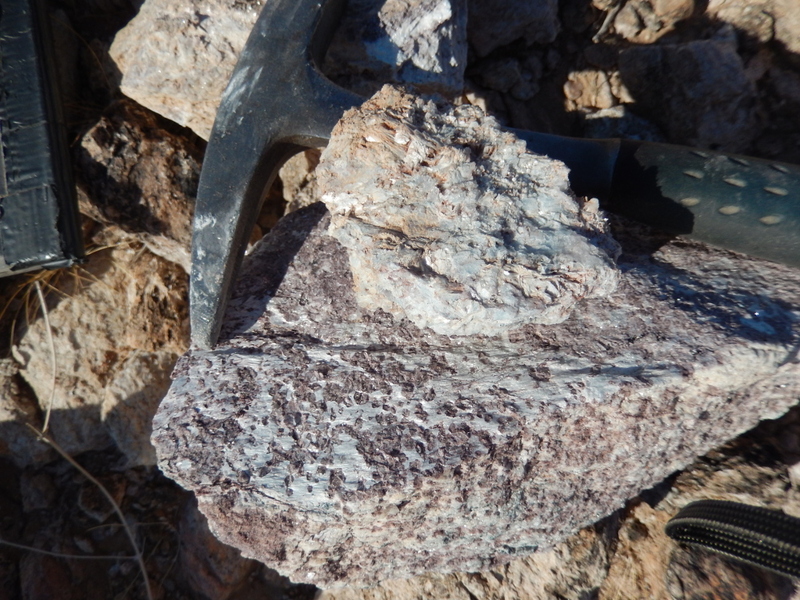 At this locality south of Quartzsite, one can find totally crazy metamorphic rocks that are exploding with kyanite, sillimanite, and possibly even andalusite. Durmortierite has also been reported at this locality, but I couldn't positively identify that mineral when I visited. 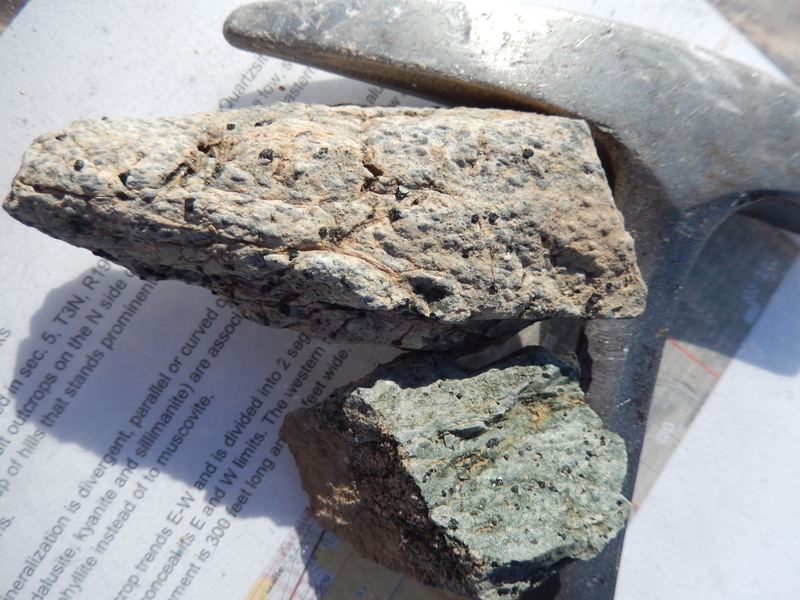 I found these rocks in some shallow diggings on the north side of a draw in low, highly eroded hills west of a major BLM dispersed camping area. 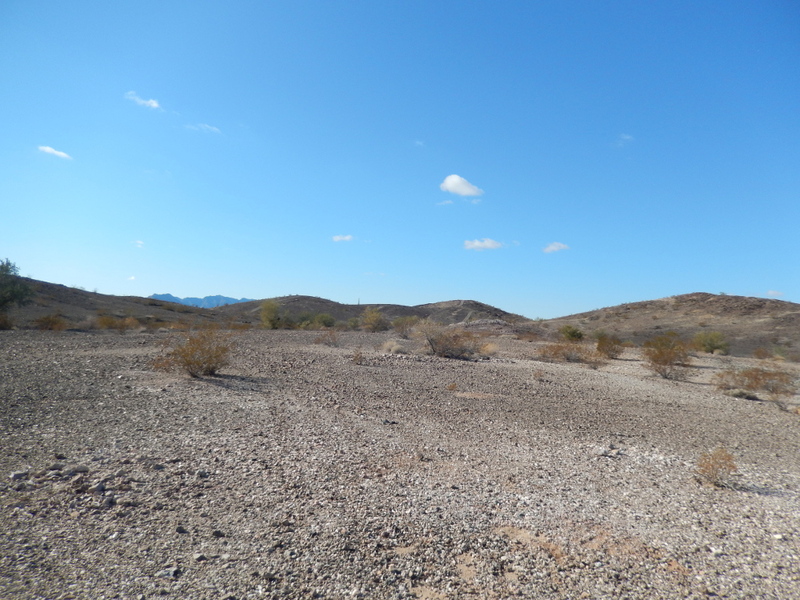 I would recommend parking along Old Yuma Road, which cuts N-S through the camping area, and walking 5-10 minutes to this locality, as the roads in this area are confusing and often extremely sandy. These curious aluminous rocks appear to occur in a heavily eroded E-W-striking pod that extends for several hundred feet from the coordinates given above to the wash to the east. These rocks are associated with biotite schist and leucogneiss, as well as other weird metamorphic rocks that are exploding with magnetite. There are probably other interesting rocks in this area to find as well. 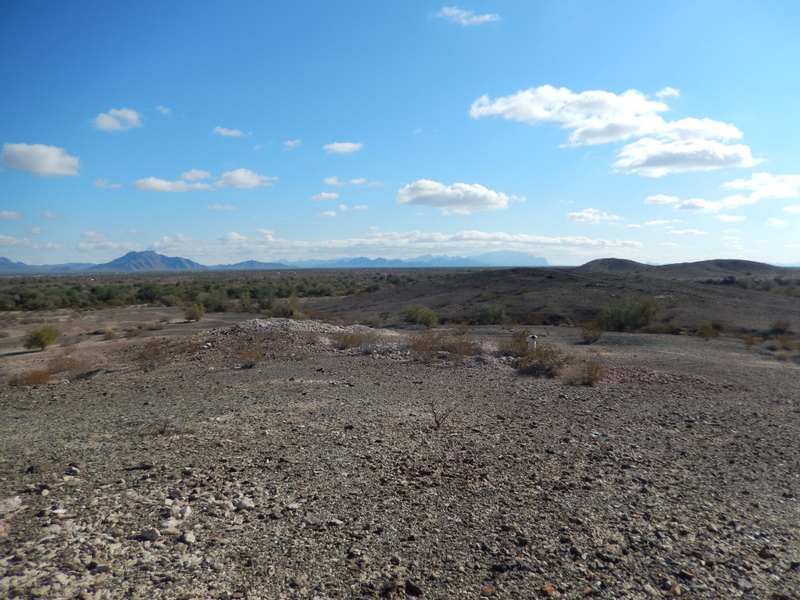 An Occurrence of Dumortierite near Quartzsite, Arizona, E.D. Wilson, American Mineralogist 1929. Geologic Setting of Mesozoic and Cenozoic Metamorphism in Arizona, S.J. Reynolds et al., in Metamorphism and Crustal Evolution of the Western United States, 1988.